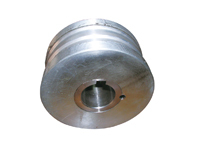 Magnetic Roller(Small type)(MR-70/100) - Magtech Magnetic Products Corp. Application:Conveyor, Separators, Transportation, Filter etc. Magnetic power could be discussible.